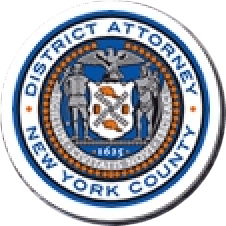 Manhattan District Attorney Cyrus R. Vance, Jr., today announced the indictment of XUE FANG ZHOU, 61, for stealing approximately $60,000 in cash and valuables from the victim of a scam involving a so-called blessing ritual that the defendant claimed to perform in order to dispel supposed bad luck from the victim’s family. ZHOU is charged in an indictment in New York State Supreme Court with Grand Larceny in the Second Degree. According to the indictment and statements made on the record in court, two unapprehended individuals approached the 65-year-old victim near 190 Hester Street, striking up a conversation. After being introduced by the associates, ZHOU informed the victim that her son was cursed with bad luck and would be at risk unless ZHOU was able to perform a “blessing ritual” over the victim’s money and jewelry. The defendant instructed the victim to bring money and valuables to an agreed upon meeting location where ZHOU performed the so-called blessing ritual. However, soon after leaving the ritual, the victim discovered that her bag of valuables—which had contained approximately $60,000 in cash and jewelry—had been switched with one containing only water bottles. Variations of this scam, which is commonly known as the “Evil Spirits” or “Chinese Blessing” scam, have appeared in New York and across the country, and typically involve elderly individuals who are targeted by strangers advertising the ability to banish evil spirits and impart spiritual blessings. In most cases, perpetrators of the scam will instruct victims to provide a bag of valuables for the ritual and then attempt to distract the victim while the valuables are transferred or hidden inside a different bag. Last October, five defendants pleaded guilty to Attempted Grand Larceny in the Third Degree as a Hate Crime and Scheme to Defraud in the First Degree for using a version of the same scam to steal cash and valuables. Assistant District Attorney Rosemary Yu is handling the prosecution of the case, under the supervision of Assistant District Attorney Archana Rao, Deputy Chief of the Special Prosecutions Bureau, Assistant District Attorney Michael Sachs, Chief of the Special Prosecutions Bureau, and Executive Assistant District Attorney David Szuchman, Chief of the Investigation Division. District Attorney Vance also thanked the NYPD’s 5th Precinct Detective Squad and Organized Crime Investigations Division, the U.S. Department of Homeland Security’s National Targeting Center, and the San Francisco District Attorney’s Office for their assistance with the investigation.